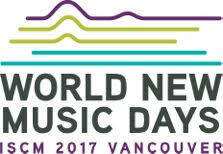 The international contemporary music community convenes in Vancouver for World New Music Days November 2 – 8, 2017, and the Western Front showcases two unique installation works. Presented as part of ISCM World New Music Days 2017. 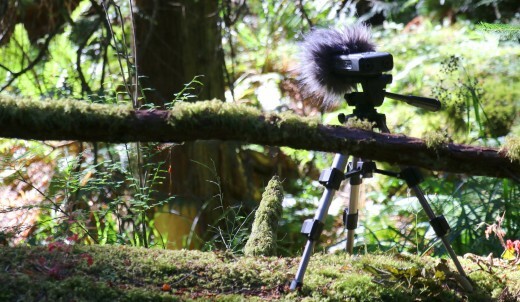 Julie Andreyev and Simon Lysander Overstall experiment with more-than-human sound-and-visual-making in their ecological video-sound-scape installation Biophilia. Here, methods of interspecies creativity re-position animal, plant and human players as collaborators within a computational ecosystem modelled on the daily rhythms of coastal old growth forests. Singing metal and soft paper noises transform with each step the onlooker takes within a semi circle made up of music stands. 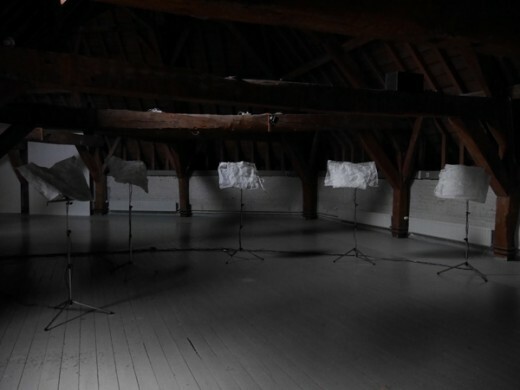 What at first glance seems hauntingly ethereal becomes an interactive composition played by the audience and as soon as the visitor leaves, the installation turns back to its point of departure: slowly moving paper sheets and soft paper sounds. Created by Dutch artist Cathy van Eck. Julie Andreyev, Simon Lysander Overstall and Cathy Van Eck introduce the ideas behind their respective sound practices. Dismantling and re-imagining objects, is an ongoing preoccupation for instrument builder George Rahi. In pulses // patterns he alters a set of ‘Leslie’ rotary speakers and a single pipe-organ rank to create a system of interlinked sonic objects, designed to excite various spatial sensations in the exhibition hall. 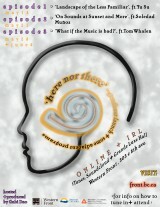 In concert, keyboardist and composer Robyn Jacob joins Rahi for some unseasonal yet beautiful musical interludes. Cathy van Eck is a composer, sound artist, and researcher in the arts. She focuses on composing relationships between everyday objects, human performers, and sound. Her artistic work includes performances with live-electronics and installations with sound objects which she often designs herself. She is interested in setting her gestures into unusual and surprising relationships with sounds, mainly by electronic means. The result could be called “performative sound art”, since it combines elements from performance art, electronic music, and visual arts. Her work transcends genres and is presented at occasions as diverse as experimental or electronic music concerts, open air rock festivals, sound art gallery venues, digital art events, or performance art festivals. Julie Andreyev is an artist, researcher and educator. Andreyev’s art practice, called Animal Lover, www.animallover.ca investigates creativity with more-than-human beings—dogs, bees, crows, fishes, trees, and forest communities. Projects rely on interspecies participation and collaboration to explore seeing, listening, and feeling for compassionate ecological potential. Andreyev’s research and projects have been presented internationally, and are supported by the Canada Council for the Arts and the Social Sciences and Humanities Research Council of Canada. 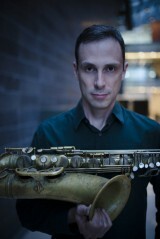 Andreyev is Associate Professor at Emily Carr University of Art + Design in Vancouver. She recently completed her PhD at Simon Fraser University as an interdisciplinary investigation into an expansion of ethics for more-than-human beings examined through interspecies relational creativity in art processes. George Rahi is a composer, sound artist, and instrument maker exploring new hybrids between the acoustic, electronic, mechanical, and sculptural. 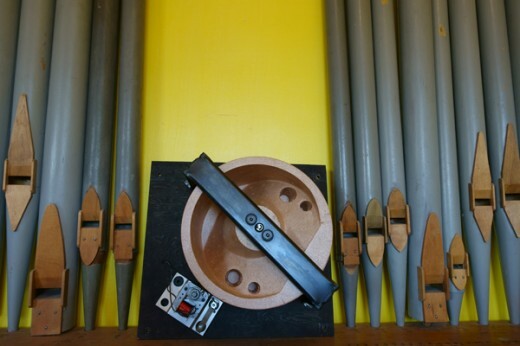 He works across a diverse array of interests including electro-acoustic music, public space, the soundscape, and large-scale instruments such as the pipe organ and the Indonesian Gamelan. He is a founding member of the percussion ensemble Gamelan Bike-Bike and art collective Publik Secrets, in residence at the Hadden Park fieldhouse in Vancouver since 2015. Recent projects include a series of youth-engaged workshops on e-waste and electronic musical instrument hacking held at VIVO Media Arts Centre. 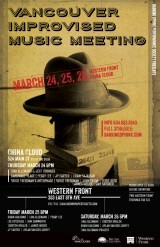 He is also working towards a MFA degree from Simon Fraser University with a focus on sound art. Biophilia in the making. Image courtesy of the artists. Breeze installation by Cathy Van Eck. Image courtesy of the artist. pulses // patterns installation by George Rahi. Image courtesy of the artist.